Some of the stories are brief—as little as 3 pages on a small format book. In “Grandma Is Sleeping,” Bragg writes, ‘She got both glaucoma and cataracts early on in life, but she always managed, continued to crochet runners with tiny patterns, weave tapestries of small birds in a tangle of branches, colorful tulips twisting out of the soil and around each other, to the delight of her seven children and her seven children’s spouses and her seven children’s nineteen children. But today it bothers her. Today she stands at the kitchen window and looks up at the mountains and wishes she could distinguish where the mountains finish and the sky begins” (57). She is expecting her family for a large dinner she has prepared. As the family arrives, she does not answer the door. In a story of a single page, “The Deer at the Edge of the Forest,” Gunnhild writes, The seed stood at the edge of the forest and was miserable. He felt like there was no point in anything, like he might as well give up. I walk around here, day in and day ouy, the deer thought, and there’s no one who sees me. Am I invisible, or what? He didn’t think so. I walk around here and could change people’s lives if only they could see me, but no one sees me. Here I am, a hart, and no one cares. The whole point is that I am supposed to be difficult to see, I know that, I am supposed to roam around the forest and not be seen. But it is the very premise of my life that is now making me miserable. I want to be seen. So here I am at the edge of the forest. I am open to being seen, to being shot. If someone doesn’t see me soon, I am going to do something drastic, I mean it. Right now it feels like I’m trapped in deerness. Oh, I would love to change everything, be someone else, something completely different. Oh, imagine if I could be a roe deer, an elk” (88). Several of the longer stories—seven pages—are also appealing. My favorites are “It’s Snowing” and “Two by Two.” One short piece was a play with only the thoughts of a woman about her life. Rick Bragg’s memoir, All over but the Shoutin’, is a detailed look into the poverty of Alabama in the 50s. 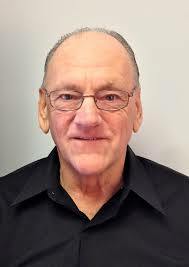 Bragg was awarded the Pulitzer Prize for feature writing in 1996. He is a national correspondent for The New York Times. He lives in Atlanta Georgia. As the jacket accurately points out, this story is a “haunting, harrowing, gloriously moving recollection of a life on the American margin.” Lots of times I ignore these blurbs before I read a book, but this one completely and concisely sums up the sad story of poverty in America. This memoir is heart-wrenching to say the list. The poverty of people in Alabama—as bad as it was—was still not as bad as the African-Americans in the same time and place. 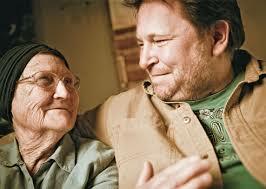 Rick Bragg’s story is of his long-suffering mother, Margaret, and his brothers Sam and Mark. Charles, the father, was an alcoholic, who appeared in and out of the lives of his family. He never offered any help to the wife and children, and only occasionally saw his sons. Bragg writes, “Anyone could tell it who had a momma who went eighteen years without a new dress so that her sons could have school clothes, who picked cotton in other people’s fields and ironed other people’s clothes and cleaned the mess in other people’s houses, so that her children didn’t have to live on welfare alone so that one of them could limb up her backbone and escape the poverty and hopelessness that ringed them, free and clean” (xii). Bragg claims, “This is no sob story. While you will read words laced with bitterness and killing anger and vicious envy, words of violence and sadness and, hopefully, dark humor, you will not read much whining. Not on her part, certainly, because she does not know how” (xiii). This is a portrait of one of the strongest women I have ever read about much less encountered. Bragg also mentions the plight of African-Americans as well. He writes, “White people had it hard, and black people had it harder than that, because what are the table scraps to nothing? This was not the genteel and parochial South, where monied whites felt they owed some generations-old debt to their black neighbors because their great-great-grandfather owned their great-great-grandfather. No one I new ever had a mammy. This was two separate states, both wanting and desperate, kept separate by hard men who hid their faces under hoods and their deeds under some twisted interpretation of the Bible, and kicked the living [crap] out of anyone who thought it should be different. Even into my own youth, the orange fires of shacks and crosses lit up the evening sky. It seems a cliché now, to see it on movie screens. At the time. It burned my eyes” (4-5). As I read this passage, I recalled the all too recent image of white supremacists marching with torches, shouting racial epithets. Rick Bragg’s bitter portrayal of poverty in the deep south is heart-wrenching and difficult to turn away. It proves the axiom that when some people are oppressed, many others are likewise. Racism is a cancer we must eradicate. All over but the Shoutin’ is a story only the most hard-hearted can ignore. We will never have justice or peace, until everyone knows justice and peace. 5 stars. The dust jacket reveals that Samantha Mabry teaches writing and Latino literature at a community college in Dallas. All the Wind in the World is her second novel. My admiration for products of Algonquin Books of Chapel Hill remains strong after reading this interesting story. Sara Jac and James Holt have escaped from what appears to be Chicago in a dystopian nightmare. Clues are scattered throughout the novel, indicating some catastrophe. For example, Farrah asks Sara about trees in Chicago. 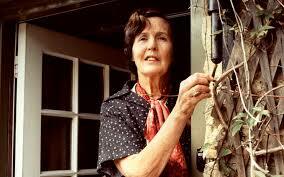 Maybry writes, “When I was there last, people from the cities were starting to come in and cut them down, but yeah, up until then there were lots of trees” (150). Sara had a younger sister, Lane. Mabry writes, “Lane and I had walked out of the girls’ home […] a couple of weeks earlier and were living on the street as thieves: always hungry, without home or direction. It was the most alone I’d ever felt” (184). She also writes of infrequent mail, the rarity of motor cars, lack of decent foot for the hard-working men, women, and children who harvest Maguey, a useful desert plant. The prose is smooth and wonderfully filled with enough details to keep any reader busy through to the end. Maybry writes, “People new to this part of the country sometimes describe it as barren, but that’s just them not looking hard enough. Under the cracked surface, the fire ants swarm in a cool, dark empire. Lizards and rattlesnakes emerge from the depths to warm themselves on hot rocks for the day. The birds here—every last one of them black with oil-slick feathers—don’t fly so much as soar in perpetual circles, watching and waiting. The creatures that live out here are smart and resilient; they have good instincts, they know when to strike and when to rest. I tell myself that I should be more like them. There is a sameness here in the desert, yes, but there are also treasures” (32-33). The ranch James and Sarah work on is brutal—from the weather, the sand, the bees, and the ranch owner who is willing to hang a thief, or burn a murderer at the stake. The ranch owner has two daughters, the youngest is Bell. Sara is trying to teach her to ride a horse. The older sister, Farrah, is ill and needs medical attention. Mabry writes, “For a moment, neither of us says anything. Farrah shifts her gaze over to the mountains and holds it there. That first time I saw [Farrah] out in the maguey fields on [her horse] Britain I thought the expression on her face could best be described as haughty, and that she looked at the landscape like a proud, puffed-up owner would. I thought she admired the desert and the terrain the same way I admired the small, collected treasures stuffed in my bandana. Now, I’m not so sure that’s right. The way she’s watching them, or looking beyond them, like she’s been waiting patiently for so long for someone or something to appear from their far side. All of a sudden, I feel uncomfortable, as if I’ve stepped into a moment that’s not mine” (150). A few years back, my scant knowledge of the Borgia family was watered with an excellent family portrait led by Cardinal Rodrigo Borgia. I knew some bits and pieces of bribery, murder, and out-right corruption, but the film opened my eyes as wide as you can imagine. I recently came across a fiction version of the family, Lucrezia Borgia by John Faunce. While I could not connect the film to Faunce’s novel, I read page after page that recalled many incidents in the film. I found it incredible that Rodrigo was able to thoroughly corrupt and kill many cardinals and other heads of state who did not bow to Pope Alexander VI. Faunce’s version is narrated by Lucrezia, the daughter of Rodrigo and brother to the gold-obsessed Cesera Borgia. While Rodrigo was stocking the Vatican library with hundreds of thousands of manuscripts and books, the young Lucrezia became curious and determined to learn to read and write Greek and Latin. Faunce writes, “Odd, I thought, how these paper and leather objects do so easily and pleasantly what the Inquisition’s fires, frequently fed with similar books, have never done. Ink puts out even hellfire. I pray, as daily I pick up my quill, this book before me might have such reforming powers for some other blond. Moonlight made my book reading slow and there were thousands of books. I couldn’t go the nights of the New Moon, since my reading lamp those nights had fled the sky. But I learned gradually to love the flipping pages of books, their smell, dust and everything about them” (48). More than 500 years ago, people had a reverence for paper and books. The worst part of this corrupt crew involved Pope Alexander VI himself. Faunce writes, “Papa didn’t care much about Savonarola, Ascanio Sforza told me. // ‘Will the Medicis not toast me this quarrelsome priest”’ Papa’d said casually over bruschetta to the Florentine Ambassador. // ‘It would help our lawyers, Holiness, if you’d excommunicate him.’ // And. of course, he did. So they did, subjecting Savonarola to the ‘Trial by Fire,’ in which he was burned at the stake. The ‘Trial’ part being that if he were truly innocent, the fire shouldn’t burn him, of course. This seemed fair and satisfied everyone, including the subsequently incinerated monk himself” (99-100). The hypocrisy of this punishment is baffling. I cannot imagine the men who ordered the stake set on fire really believed it would ever find anyone innocent. I find it hard to believe the innocent mask Lucrezia drew for herself. Faunce writes, “I recall one day in particular in those years. I was reading on a chaise in Giovanni’s great room. He had few books, but what he had were surprisingly good, especially the ones in Greek. He told me they’d been salvaged from a ship of Byzantine pirates and scholars, who’d shipwrecked below our castle, all of them drowned or killed by rocks or shark-men. Bibliophiles and pirates? I wondered. The modern age is full of learned men in the oddest places. As I was reading Pliny’s account of the destruction of Pompey, fire-belching Vesuvius reminding me of my dragon tapestry wedding-gift that now hung behind me” (100). My head could only shake at the cruelty, the greed, the lust for power and gold these “Men of the Church” displayed toward their fellow humans. Lucrezia Borgia by John Faunce is a story which should not be forgotten. 5 stars. 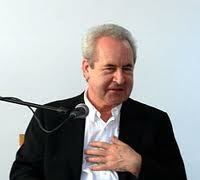 John Banville is one of my favorite writers along the lines of the premier wordsmith of the 20th century, John Updike. I have amassed dozens of new and interesting words to add to my vocabulary. Banville’s latest novel, Mrs. Osmond is no exception, and I picked up a small handful in the first 40 pages. Mrs. Osmond is the story of a woman, Isobel, separated from her husband. She has inherited a substantial—but unspecified—inheritance from her aunt. As the story opens, she has returned from Italy, and visits her banker in London to withdraw a large amount of money. This sequel, to Henry James’ Portrait of a Lady, is written in the same style as James, although, Banville does not used unending sentences. While some sentences are a bit longer than most, all are manageable. Banville writes, “[Isobel] did not know London, not with any intimacy; she had spent some time here, on visits, but for the most part she had viewed it not through her own eyes but through the eyes of others—those of her husband, of Ralph Touchett and his mother, of her friend Henrietta Stackpole; of painters, too, and of poets and novelists—so many!—the Dickenses and Thackerays, the Byrons and the Brownings, all the bards who had sung to her, in the far off city of Albany [New York] where she had passed the years of her youth, of this magically distant Land of Cockaigne” (8). This sentence is manageable, and after thirty pages or so, I quickly fell into the rhythm of his marvelous prose. I am not a big fan of James, but quite a few of his stories and novels have a magic something, which keeps me reading. Among these marathon sentences, there is quite a bit of wry humor. Banville writes, “The maître d’ like a pigeon’s chest—and she was led murmuringly led to a place in the corner and deftly seated, although, despite the man’s soft obsequiousness of manner, she had momentarily the sense of having been screwed down into her chair, like a cork forced into the neck of a bottle. Restaurants always reminded her a little of the schoolroom, if an unusually democratic and well-appointed one, where she had been sent to receive lessons in some of the finer and more venerable social disciplines” (17). I can imagine that school house, and that is one of the strengths of Banville his ability to render complete and interesting characters. Here’s another humorous passage, “The hermits of the desert could hardly have been less the gourmand than Isobel Osmond, but all the same she never ceased to wonder at the inventiveness of English chefs in transforming perfectly presentable produce into messes of the kind that a French or Italian schoolboy would descend to sampling only on a dare” (20). That has to cause at least a chuckle. This Banville’s work, as usual, has a treasure trove of obscure but interesting words. I will allow you to look these up in the diction for your own amusement: chidden, crepitant, reticule, megrims, deal table, ebullient, savour, scryer, furbelow, and lemon syllabul. These came from the first 61 of 369 pages. 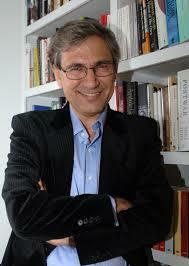 My first encounter with Orhan Pamuk, the Nobel-Prize winning author, came as a wonderful surprise. His novels are uniformly interesting, with well-drawn characters. The stories have the right amount of detail. The Red-Haired Woman is his twelfth novel, but there may be more not yet translated. This novel is loosely drawn on Oedipus Rex by Sophocles. This story begins with the birth of Oedipus and a seer who predicts the child will slay his father and marry his mother. A servant is ordered to kill the child, but he leaves it with a family he trusts. When the child becomes a man, he is told of the prediction. Believing he wanted to spare his adopted family, he travels to Thebes. On the way, a rider knocks him over, a fight ensues, and the King of Thebes is killed. Oedipus solves the riddle of the Sphinx, and he becomes king and marries Queen Jocasta, who is his mother. A dreadful plague attacks Thebes, and the seer says it is punishment for the murder of the king. Oedipus orders an all-out effort to find the murderer and bring him to justice. Cem is a young man who aspires to be a poet, but his father disappears and the family finds itself on the brink of poverty. He first works at a book store. Pamuk spins an interesting tale with equally interesting characters. Orhan writes, “I spent the summer of 1985 helping out at a bookstore called Deniz on the main shopping street Beşiktaş. My job consisted of chasing would-be thieves, most of whom were students. Every now and then, Mr. Deniz would drive with me to Çağaloğlu to replenish his stock. The boss became fond of me: he noticed how I remembered all the authors’ and publishers’ names, and he let me borrow his books to read at home. I read a lot that summer: children’s books, Jules Verne’s Journey to the Center of the Earth, Edgar Allan Poe’s stories, poetry books, books about dreams. One passage in the latter book would change my life forever” (60). With Deniz’s urging, he begins to consider writing as a career. Desperate for money, he begins to study engineering and geology. He accepts a summer job as apprentice to Mr. Mahmut, a well-digger, where he meets the Red-Haired woman and promptly falls in love. Pamuk writes, as “I reached the open doorway, two more figures emerged: first, a man, maybe five or six years older than I was, and then a tall, red-haired woman who might have been his elder sister. There was something unusual, and very alluring, about this woman. Maybe the lady in jeans was the mother of this red-haired woman and her little brother” (22). Mr. Mahmut told Cem a vast array of stories, and these captured the imagination of the young boy. Pamuk writes, “Many years later, when I grasped the immeasurable effect that Master Mahmut’s stories had over the course of my life, I started reading anything I could find about their origins” (37). His business flourishes, and he becomes vastly wealth. He and his wife travel the world looking for copies of ancient documents. I must confess two things: first of all, I generally avoid biographies and novels by and about show business types. Second, I have a wicked crush on Lauren Graham. It is entirely possible my review is highly influenced by these two items. Lauren Helen Graham was born March 16, 1967. 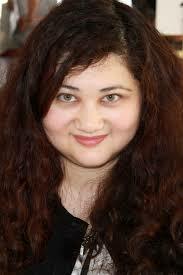 She is an American actress and author. 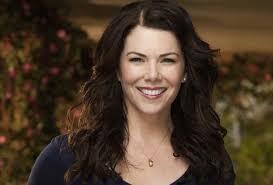 She is best recognized for her role as Lorelai Gilmore. Lauren Graham’s first novel was released in 2014. Someday, Someday, Maybe brought a smile to my face from the first page. I could hear her voice, as if I were watching an episode of The Gilmore Girls–-5 stars—or Parenthood—5 stars currently streaming on Netflix. Someday, Someday, Maybe is the story of Frances “Franny” Banks, an aspiring actress on the verge of giving up as her self-imposed deadline for success approaches. She juggles a waitressing job under a mean boss, occasional catering gigs, while sharing an apartment with Dan and Jane. She has a hit-or-miss social life to boot. Her father has been supporting her, but that deal is about to run out. Lauren writes, “Jane and I are in the living room sitting cross-legged on either side of the couch flipping through channels when Still Nursing comes on. Dan is working at the dining room table, but he always says he isn’t bothered by us sitting and talking in there while he’s writing due to his uncanny ability to completely tune us out, and in fact our chatter is so incessant, we’re like human white noise. It’s a handy thing to have in a roommate” (148). This passage could easily be cut and pasted into either of her previous acting jobs. Her voice comes clearly off the screen, past the page, and to my ears. This charming novel—in my unbiased opinion—really is a lot of fun. Sprinkled throughout are pages from her planner/date book. There are times when the only entries are to record her daily run, usually 3 miles. Franny is in an acting class with a well-known acting coach. One of her class mates is the alluring James Franklin, a working actor. They are assigned a scene from a play for the next class. They go to James’ apartment to practice. They do the scene over and over. Franny is exhausted and hungry, he coxes her to stay and do the scene again. She is angry, and she begins the scene with renewed passion. Finally, she leaves. Lauren writes, “He closes the door behind me after one last kiss, a kiss I’m only partially present for because my mind is racing. I practically run the whole way home, both because the neighborhood is creepily quiet and dark and because of the nagging feeling that I’ve done something I’m going to regret. How could he, in a million years, say I jumped him, even jokingly? And what was he talking about, ‘Act Two’? Our scene is from the end of Act One. He got it wrong, I’m pretty sure. I’ll have to look at the play again when I get home” (195-196). The scene was actually from Act Two, Scene One. Franny suffers from a lack of self-esteem, which in an unintentionally comic scene, she thinks her career is over, but the teacher recommends her to several agents for some auditions. All-in-all, this was a fun read. I motored through in not much more than a day. I have her autobiography, and there is another novel out soon, and a non-fiction piece, and as a bonus, a cookbook based on The Gilmore Girls. Lauren Graham’s first novel, Someday, Someday, Maybe was a pleasant surprise for me. What are the odds I will end up with all her work? Emily Fridlund debut her first novel in September of 2017. History of Wolves was immediately recognized by the Booker Prize Committee with a position on the 2017 shortlist. According to the dust jacket, she grew up in Minnesota. 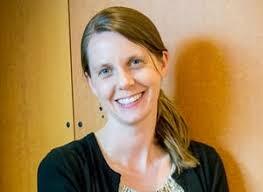 She has published several fiction pieces, and she has a PhD in literature and creative writing from the University of Southern California. 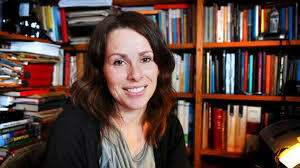 Her collection of short stories, Catapult, won the Noemi Book Award for Fiction and the Mary McCarthy Prize. She currently lives in the Finger Lakes region of New York. This ethereal story is about Linda, a young girl of 15 who is a loner in her high school. No one bothers her, and she keeps to herself. Another young girl, Lily is popular, has a boyfriend, but some rumors have ruined her reputation. Linda becomes curious about Lily, and she follows her around campus, and she never opens herself up to Lily, in fact she rarely has a word of conversation until the end of the novel. When Lily disappears, Linda goes to her house and asks about her. Other characters include Mr. Grierson, a new history teacher at the school, and Patra, a woman living in a remote cabin with her son, Paul. Patra’s husband, Leo is, she says, an “astronomer” away from home while he does his starry thing. Paul anxiously awaits he father’s return. Linda is a free spirit, and she seems to wander around as she will. Her parents trust her, and they do not pry into her life or whereabouts. She is also the narrator. In her wanderings, Linda visit a nearby cabin and meets Paul, then his mother, they go for a walk, and Linda becomes Paul’s nanny. Fridlund writes, “In April, I started taking Paul for walks in the woods while his mother revised a manuscript of her husband’s research. The printed pages lay in batches around the cabin, on the countertop and under chairs. There were also stacks of books and pamphlets. I’d peeked at the titles. Predictions and Promises: Extraterrestrial Bodies. Science and Health with a Key to the Scriptures. The Necessities of Space. // ‘Just keep clear of the house for a few hours’ were Patra’s instructions. I was given snacks in Baggies, pretzels wound into small brown bows. I was given water bottles in a blue backpack, books about trains, Handi Wipes, coloring books and crayons, suntan lotion. These went on my back. Paul went in my hand. His little fingers were damp and wiggling. But he was trusting, never once seeming to feel the shock of my skin touching his” (40). There are some peculiar clues here. It turns out that none of these characters are what they seem. It is not exactly a mystery, but is an absorbing read. I found the story absorbing, and while the ending was not a surprise, the way the story ended left me mystified. As I chased after the end of the novel, I expected a certain outcome, but it never came. I sensed a touch of a Scandinavian writer. Ironically, I have been reading a lot of literature from the north lands lately. It has that sparse, serious tone. Linda, for example, lives largely in her mind, and her conversations with Paul are interesting. Emily Fridlund’s History of Wolves is a story with much to recommend it. I was really only slightly annoyed as I closed the book. 4-1/2 Stars. Unfortunately, I found this novel confusing beyond all measure. I restarted my reading three – yes three – times convinced I had missed some important item. It was not until the last eleven pages, which comprise chapters 30 and 31, did I come to understand the relationships of the characters. This turned the novel into a “who dun it” a genre I have never cared to read. I sensed it was an example of “magic realism,” which I greatly admire. Now, I am not so sure. She also has a habit of explaining a bit too many things, for example, Grace visits Thaniel, and she says, “‘Good God, I feel like Cassandra! I’ve been making true prophecies and still you don’t believe me’” (265). This is only a minor annoyance, nevertheless, I am annoyed. Pulley also mentions an “antique ticket inspector” (291). Was Pulley referring to a person who sold “antique tickets”? Or was he an elderly man who inspected old tickets? And then, I attended our book club for the December meeting, and Watchmaker was the book. While there was some confusion about what was going on, we began to piece things together to come up with a reasonable understanding of the story. The missing thread—in my mind anyway—revolved a mysterious activity called “Steam Punk.” I had never heard if it, but it seems to be something akin to young people who dress, talk, and listen to Goth music. A quick check of Wikipedia enlightened me. Think of Jules Verne, the Monty Python film Brazil, and all the fascination in the Victorian period with new mechanical devices, especially those driven by steam. Perhaps it was my state of mind, perhaps it was some careless reading. The Watchmaker of Filigree Street by Natasha Pulley is an odd and confusing novel, but I am going to withhold the award of stars until I can find a block of time to try it again. I am resolved to work my way through all the novels by the Brontë sisters – Ann, Emily, and Charlotte. Agnes Grey is Anne’s first of her two novels. Anne was born January 17, 1820. She was a novelist and a poet. She spent most of her life with her family at the parish church of Haworth on the Yorkshire moors. She was a governess from 1839 to 1845. Agnes Grey was published in 1847. Anne died May 28, 1849. 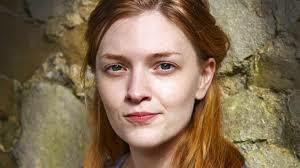 She drew on her experiences at Haworth and as a governess in writing the novel. The first paragraph sets forth her ideas on writing a novel. She wrote, “All true histories contain instruction; though, in some, the treasure may be hard to find, and when found, so trivial in quantity that the dry shriveled kernel scarcely compensates for the trouble of cracking the nut. Whether this be the case with my history or not, I am hardly competent to judge; I sometimes think it might prove useful to some, and entertaining to others, but the world my judge for itself: shielded by my own obscurity, and by the lapse of years, and a few fictitious names, I do not fear to venture, and will candidly lay before the public what I would not disclose to the most intimate friend” (1). Every time I delve into one of the Brontës, I can not help to hear their voices—soft, gentle, erudite—as I imagine them to be. As was frequently the case in those days, a writer was at the mercy of the typesetters. In a letter to her publisher, she wrote, “There are numerous literal errors, and the text of Agnes Grey is marred by various peculiarities of punctuation, especially in the use of commas (some of these, however, may be authorial)” (xi). She began revising the text, and a copy of the third volume has “some 121 revisions made in pencil in her hand, many of them involving quite significant substantive alterations” (xi). James Joyce faced the same problem with Ulysses with typesetters who could not read English. I corrected the text for many years—nearly up to his death. Anne’s novel is considered quite an achievement. As the novel proceeds, she becomes more confident. Here is a conversation between Anne and Rosalie: “‘If you mean Mr. Weston to be one of your victims,’ said I, with affected indifference, ‘you will have to make such overtures yourself, that you will find it difficult to draw back when he asks you to fulfil the expectations you have raised’ // [Anne’s reply] ‘I don’t suppose he will ask me to marry him—nor should I desire it … that would be rather too much presumption! But I intend him to feel my power—he has felt it already, indeed—but he shall acknowledge it too; and what visionary hopes he may have, he must keep to himself, and only amuse me with the result of them—for a time’” (xii). As the Introduction to my paperback copy points out, “Agnes Grey is undoubtedly in many ways a deeply personal novel’ (xii). 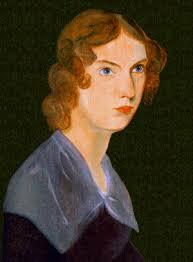 “Charlotte Brontë described the work as ‘the mirror of the mind of the writer” (xii-xiii). One of the things that Anne emphasized in her novels, comes right out of her experiences as a governess. The treatment of these young women was nothing less than atrocious. Agnes Grey speaks with the authority of experience. In addition, her moral and religious sensibilities are evident throughout the novel. I hope this taste of a fantastically talented young writer will inspire you to snuggle up with Anne Brontë and delve into Agnes Grey. All you need is a cup of tea, some patience, and the reward is a thoroughly satisfying picture of young women in England of the 1840s. 5 stars! One of things I love about the fall season is the avalanche of new books. I have gathered for your pleasure and amusement a list of titles on my TBR pile. I begin with History of Wolves by Emily Fridlund. This interesting tale of a young girl who befriends Lily and a new history teacher at her school, Mr. Grierson. As the lives of these characters spiral into a dark time, Linda tries to deal with what is going on in her life. Short-listed for the Booker Prize, this promises to be a suspenseful ride in the northern woods. John Banville, winner of a Booker prize, starts off the year with his latest novel, Mrs. Osmond. Banville’s novels are always serious explorations of people and their struggles through life. He always delivers a great story. I recently reviewed my first encounter with Elena Ferrante, and next I am going to tackle what some call her masterpiece, My Brilliant Friend. This bildungsroman is sure to capture your attention with some interesting characters. When I watched The Gilmore Girls on Netflix, I developed a crush on Lauren Graham, so I decided to read her novel, Some Day, Someday, Maybe. I am now watching her on Parenthood, so this should be a fun read. Books of Chapel Hill, which always seem to rise to the top of my TBR. Samantha Mabry’s novel, All the Wind in the World, will, I believe, continue the amazing parade of authors from this fine press. I have never been disappointed by Algonquin. Orhan Pamuk, the Nobel Prize winning Turkish writer, has come out with The Red-Haired Woman. This is the story of some well-diggers, who meet the woman of the title, and it has a dramatic effect on their lives. Two titles of philosophy have been hanging around my desk for long enough. This year I will get to Why Buddhism Is True by Robert Wright. I have skimmed some of the pages, and this appears to be a thought-provoking excursion into the workings of an ancient and interesting philosophy. Another work I have been trying to get to is Daniel Dennett’s Breaking the Spell. I have actually started reading this several times, but I realized I need a good chunk of quiet time for this work. Our book club unanimously approved and thoroughly enjoyed A Man Called Ove, so I am going to try Fredrik Backman’s. Trusted members of the club have already read it and it is getting rave reviews. I have moved several of Margaret Drabble’s novels to the fore, and her latest, The Dark Flood Rises looks to be another literary masterpiece. I always keep an eye out for new titles by The New York Review of Books. They are doing wonderful work reviewing some obscure or forgotten novelists from the past. Blood Dark by Louis Guilloux is a story of a philosopher struggling to maintain his sanity in a small provincial town. This novel was considered a masterpiece by Gide, Malraux, Camus, and Pasternak. What a set of recommendations! Finally, I will resume my survey of the Brontës with Agnes Grey by Anne Brontë. This was her second of only two novels she wrote. To finish this list for 2018, I want to read a memoir by Rick Bragg, All over but the Shoutin’. This pile should keep me busy well into the new year. If you have a title you would like to recommend, email me through the KWBU.org website. Happy Reading, and have a marvelous year of books! Most of my favorite comedians are Jewish. They are uniformly funny – always in different ways – and they excel in self-deprecation. Larry David, Fran Leibowitz, Jerry Seinfeld, Lewis Black, and countless others drive me to tears of laughter every time. Gabrielle Zevin continues this tradition with her latest novel, Young Jane Young. I enjoyed The Storied Life of A. J. Fikry, and YJY has provided me with loads of fun. Zevin's first novel Elsewhere was published in 2005. It was nominated for a 2006 Quill award, and she won the Border’s Original Voices Award and was a selection of the Barnes and Noble Book Club. The novel has been translated into over twenty languages. In 2007 Zevin was nominated for an Independent Spirit Award for Best First Screenplay for Conversations with Other Women which starred Helena Bonham Carter. 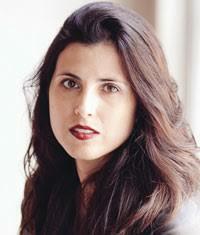 In 2014, her eighth novel, The Storied Life of A.J. Fikry, debuted on the New York Times Best Seller List. Young Jane Young is the story of Rachel Shapiro who has daughter, Aviva, who aspires to a career in politics. She becomes involved with a candidate running for Congress in Florida and becomes pregnant and runs away to Maine. She changes her name to Jane Young, and becomes an event planner – mostly weddings – in a small town. Her daughter is named Ruby. Rachel divorces Mike. Her good friend, Roz, encourages her to do some online dating. Zevin writes, “I don’t particularly want a husband. They’re a lot of work, but I don’t want to spend the rest of my life alone either, and it would be nice to have someone to go to classes with is what I’m saying. I thought online dating was for young people, but Roz says, it’s not. ‘Even if it is,’ she says, ‘Rachel, you’re younger now than you’ll ever be’” (3-4). Aviva keeps the secret of her pregnancy, but, “It did not help Aviva’s cause that she had kept a blog, detailing her months working for the congressman. The year was 2000, and I did not even know what a blog was when I found out that Aviva had been keeping one. ‘Blog?’ I said to Aviva. The word felt foreign on my tongue. ‘What’s that?’ // ‘It’s short for weblog, Mom,’ Aviva said. // ‘Weblog,’ I repeated. ‘What’s a weblog?’ // ‘It’s like a diary,’ Aviva said. ‘It’s a diary that you keep on the Internet.’ // ‘Why would anyone do that?’ I asked. ‘Why would you do that?’ // It was anonymous. I never used names. Until everything happened, I had about three readers. I was trying to make sense of my experiences by writing about them.’ She said. // ‘Then buy a diary, Aviva!’ // I like typing,’ she said. ‘And I hate my handwriting’” (55). Aviva changes her name to Jane and she picks up the story. By this time, Ruby is thirteen, and she becomes curious about her father. Jane gives her a fictitious name, Mariano Donatello. Ruby is suspicious, and she begins an internet search. She finally stumbles on the old weblog her mother kept. She becomes outraged at the deception of her mother. Jane decided to run for mayor of the town, and Ruby sets out to torpedo her candidacy.